Costs approximately 11 cents (USD) to make oneself. Our testing as well as independent testing 99% effective. 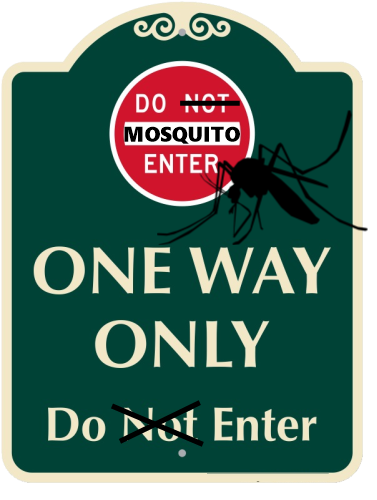 ﻿﻿Ultimate Mosquito Traps has successfully designed and tested the first line of what we call one-way or dead end™ mosquito traps. This is a major game changer for this class of traps, Ovitraps. What is the secret sauce? One word: "Simplicity"! 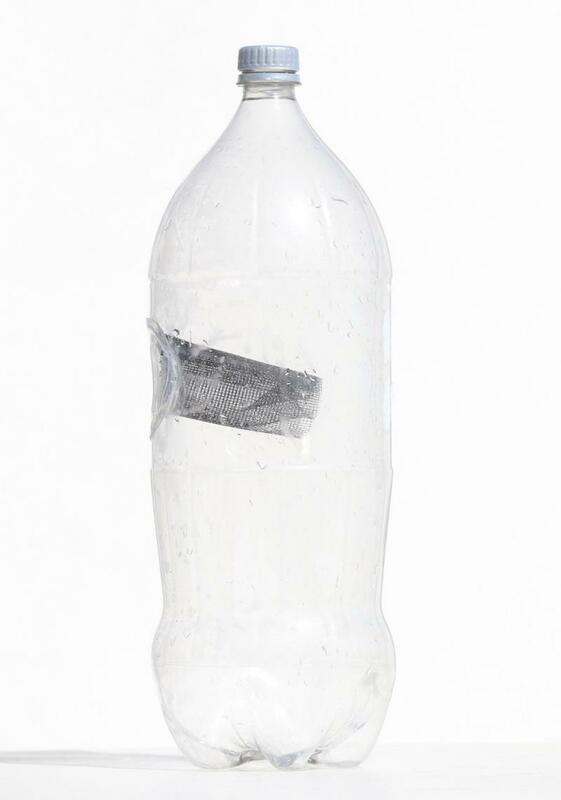 These traps allow a mosquito in, but not out 99% of the time, this has never been accomplished with mosquitos till now. We do this with just water as the attractant. No electricity, no poisons, no tapes. This is, in essence, an ovitrap-like device that has been in use for over 50 years by mosquito control districts for mosquito forecasting. And now for terminating them. We do not use poison and we do not let the mosquito escape! Remarkably, no power required. What is the cost? You can make your own for pennies or we will have low-cost kits and stylized products coming in the near future. These are truly an eco earth-friendly approach. no poisons of any kind. We have an updated do-it-yourself method. You can make your own ONE-WAY trap for pennies to stop the Aedes Aegypti ﻿mosquito and is in French English and soon Spanish. Soon we will have low-cost kits and then actual production. (well not to soon, we have not found any external funding so this is all self-funded, so no kits or products in the near future, as of 5/2019 we are hoping. We are progressing but snail's pace without funding. A MD in LaPaz Mexico has independently verified our trap catches mosquitos and that in his samples 100% could not escape during summer of 2017. A Medical Entomologist in Pakistan has agreed to do more independent testing is our next goal, and the tests results are in as of May 2018, they have confirmed the over 99% can not escape too... If you know of funding solutions please contact me. and you can make your own for 11 cents in materials.... Click here to go to do-it-yourself directly. We hope to have a commercial product in May 2020 if we can get some funding. *** As an important side note people concerned with zika please note if going to an area with active cases, take deet-wipes with you and do not miss a spot on your legs, feet especially before you depart the plane. And same when departing coat yourself before arriving at the airport including all taxis as the Aedes Aegypti mosquito﻿ is a great hitchhiker. This is the potential perfect storm for transmission of vector borne diseases. Same with movie theaters (I have been bitten in the movie theaters and we only have the Aedes Aegypti﻿ mosquito) and even doctor offices and hospitals. 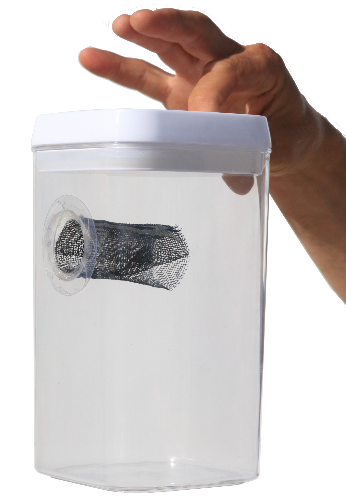 **(see below ovitrap research with a tire by a Canadian University last year, their design allows the diseased mosquito escape, we do not, and we should have comparable results in numbers reduction and significantly better on disease prevention because she enters and does not escape. Also note the CDC licenses their ovitrap that has a adhesive and it has to be replaced and is expensive. ﻿Here is the link. Rotary International, which was responsible for eradicating polio from 97% of the world by partnering the Governments of the world, has ventured to make Sri Lanka dengue-free in partnership with the Colombo Municipal Council (CMC) Public Health Inspections unit. The landmark project was officially launched yesterday at Colombo Municipal Council, under the patronage of Mayor of Colombo Rosy Senanayake, and visiting Rotary International President Barry Rassin, in the presence of Rotary District Governor Dushan Soza, Past Rotary International President K Ravindran, and other key officials, including Ministry of Health Anti-Dengue Control Unit Head Hasitha Tissera. “One of the most efficient killers in the world,” Peter Hotez, dean of the National School of Tropical Medicine at Baylor College of Medicine, told The Washington Post this year in discussing A. aegypti. Of all the mosquito species that populate the planet, few have proved themselves more resilient or more deadly to humans than the Aedes aegypti. The epidemics fueled by this tiny mosquito stretch across hundreds of years and include millions of victims. Go to the resources page to see why this works. This is a one-way ovitrap. The potential they are hoping for from below has arrived in 2017. Article dated 2014.
zika can have other effects! The below link is a promising newly published ovitrap using tires funded by the Canadian government. They claim how effective it is vs any other trap out there in the world. Still, they do not capture the egg laying potentially diseased female and they have a risk of being a source of the problem if neglected. For instance, if you go on a vacation even a week it is a breeding ground. "The team recently finished their one-year project in the Guatemalan town of Sayaxché. The results were very promising: the ovillantas destroyed seven times more mosquitoes than traditional traps, nearly 18,000 larvae per month. There were no new dengue cases in the area, where normally there would be two or three dozen." Here is a recent CDC-funded test on a lethal ovitrap that uses sticky tape. Our product concept is much better than theirs which works. The tapes have to be replaced and there is no guaranty that every mosquito walks to the side. Their findings hit 91% effective still for a retail $30.00 trap that you should have about 6 of them. Our traps for the poor will be in the several dollar range when we are not giving them away. The Orange County Mosquito and Vector Control district announced a sharp spike in the presence of the invasive Aedes mosquito in Orange County. More Issues that should have been obvious for the Wolbachia methodology. My concern was even hitchhiking they can come back from cars and planes. They are great hitch-hikes I see them in my car often in the mornings because I leave a crack in the window. One female hitchhiking can lay several hundred eggs in 30 days. Here is another example where on an island where you have complete control the Wolbachia failed in 2 out of three islands. 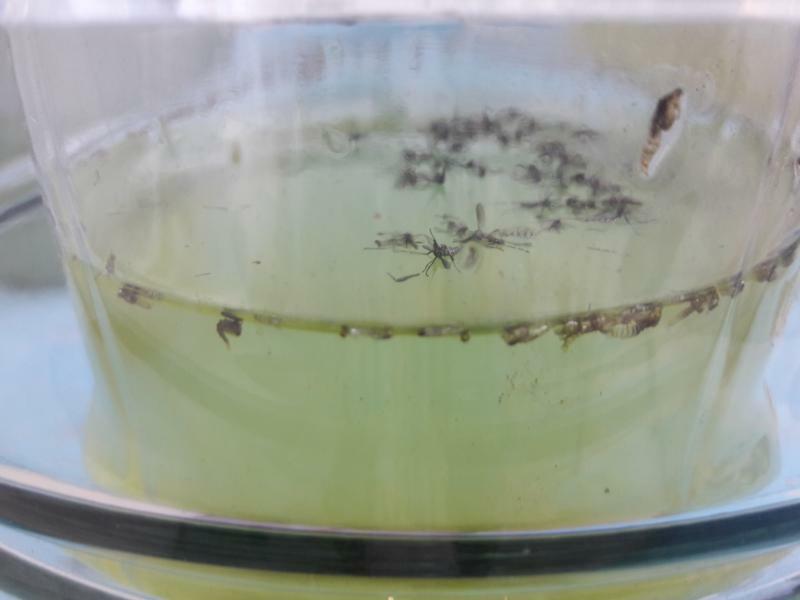 Earlier, a research group from Vietnam's National Institute of Hygiene and Epidemiology and Australian scientists bred Aedes aegypti mosquitos laced with Wolbachia and then released them on a trial basis on Tri Nguyen island in Khanh Hoa in 2013 and 2014.
this is a geneticlly modified mosquito that appears to have a issue with develop a resistance to using antibiotics. That’s a concern for Norris and a group of doctors because of bacteria that may be riding on the backs of the mosquitoes, seeing as how bacteria develop resistance to antibiotics after exposure to too much or too little. The surviving bacteria can become even more powerful and resistant to medicine down the road. Here is the first test in Mexico of Wolbachia﻿, in LaPaz, state of Baja California Sur. some good news. Seems LaPaz is going to be a test for the Wolbachia infected Aedes Aegypti mosquito. Thus we should not see any dengue zika and so on outbreaks. The good news is this does work. And the bad news is though they are making the claim it is long term it has not shown that to be true. Not any of the tests they have made have proven that, in fact it appears for long term as I predicted it would fail. But it does make a huge dent in the short term. Well, we are low cost... we are the first to achieve this. Other traps they mention are USD$20.00 on up each and 6 or more per location are needed. People can make ours for 10 cents or buy one of our future models at half that price. The evidence supports the recommendation of mass deployments of oviposition traps to suppress populations of invasive Aedes, although better measures of the effects on disease control are needed. Strategies associated with successful mass-trap deployments include: (1) high coverage (>80%) of the residential areas; (2) pre-intervention and/or parallel source reduction campaigns; (3) direct involvement of community members for economic long-term sustainability; and (4) use of new-generation larger traps (Autocidal Gravid Ovitrap, AGO; Gravid Aedes Trap, GAT) to outcompete remaining water-holding containers. This dead-end trap-container test was an independently tested by an Emergency Room Doctor MD in LaPaz, BCS Mexico in June 2017. This shows that there are larvae and the dead mosquitos floating were not able to escape which in essence is a reduction in mosquitos in an area by a factor of X.
Dakar — From deadly droughts and destroyed crops to shrinking water sources, communities across sub-Saharan Africa are struggling to withstand the onslaught of global record-breaking temperatures.